Serendipity stands for a “Fortunate happenstance” or “Pleasant surprise”. Coined by Horance Walpole in 1754, this word has been exported into numerous cultures and become the favorite word for many people around the world. The notion of SERENDIPITY is a common occurrence throughout the history of scientific innovation, such as Alexander Fleming’s accidental discovery of penicillin in 1928, and Post-it-notes by Spencer Silver in 1968. In other words, SERENDIPITY can be a happy accident; a mistake with an unexpected turn; a surprise which leads to success. Innovations presented as examples of serendipity have an important characteristic: they were made by individuals able to "see bridges where others saw holes" and connect events creatively, based on the perception of a significant link. This November in TEDxFuxingPark, we celebrate the mistakes in our lives and chances that we took even accidents and sad moments. We applaud those who has the sagacity and courage to take that fall, to concur the inevitable, to make that discovery and share their stories with us. Every great adventure always takes an unexpected turn, the same can be true for each person’s life. Perhaps at the time, we mistake the climax of our stories for the lowest point of our lives. These speakers are living proof that the unexpected left, right and backward step is just a necessary part of the story. We often find what we are seeking for in the most unexpected places and during the most unlikely of times. These speakers explain how a series of chain reactions eventually led up to one very moment in time, a discovery only by chance encounter. As if the universe is a large graph made of lines that may or may not intersect. Two lines may cross the same point, but never twice. This is a perspective of all the mistakes, chances and risks we have taken in our lives. Our speakers celebrate all of their ups and downs, and explain how with the right perspective, we can all understand how serendipity works in our own lives. Do you need the Live translation service? The service is provided by TEDx. 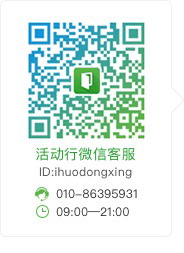 You do need to bring a valid ID card for deposit and a 20RMB change to pay at door for rent of the headphone device. November 15th Sunday 10:00 am See you @ Mercedes Benz Arena Mixing Room! 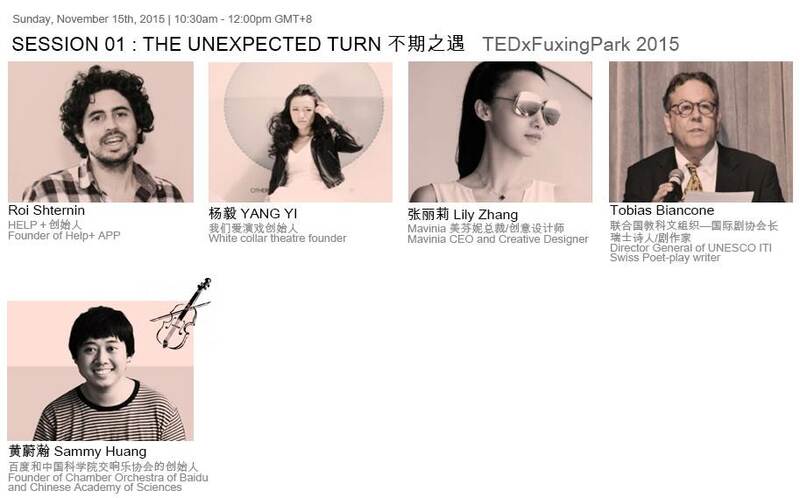 Partner up now with TEDxFuxingPark! Stage installment, catering, translators, equipment and printing partners are in special need. 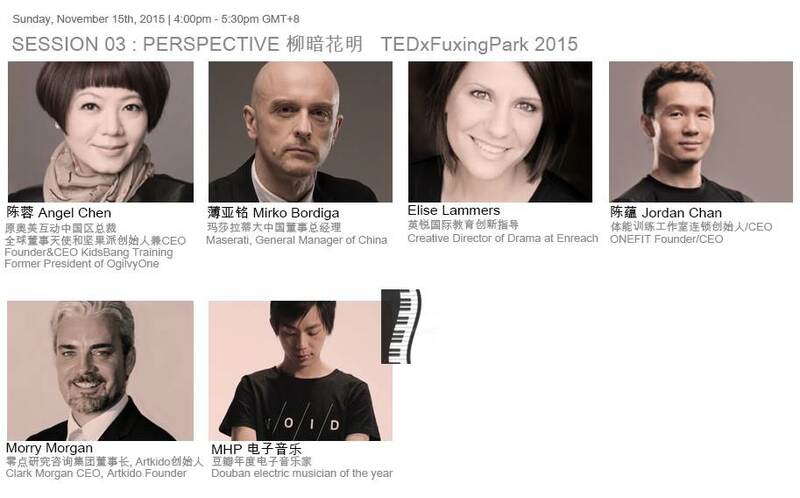 Email: jingjing@tedxfuxingpark.